Author: Dickens, Charles Set In . . . 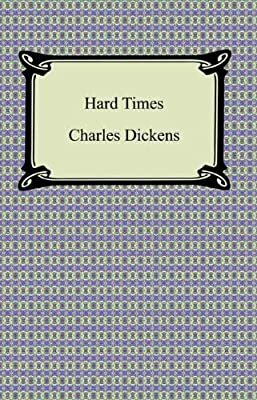 Description: "Hard Times" is the 1854 novel by Charles Dickens that sought to highlight the social and economic divide that was growing between capitalistic mill owners and workers during the Victorian era of Great Britain. Originally published in serial form in Dickens's own periodical journal "Household Words", "Hard Times" is unique in that it is not set in London, like many of his works, but in the fictitious Victorian town of Coketown. A critical examination of the poor working conditions in many English factory towns of the time as well as the changing nature of the aristocracy and the working-class in the post industrial revolution era is at the heart of Dickens's Classic novel, "Hard Times".